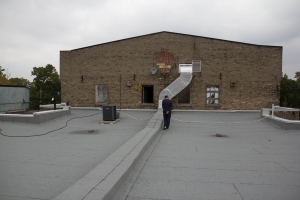 In 2014 we were pleased to be able to replace a large section of roofing (the entire front half our our building) with the generous support of the Ontario Trillium Foundation. 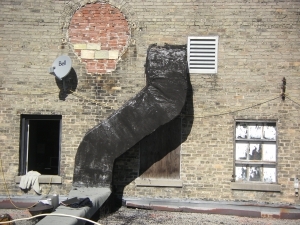 Below you can see some before and after photographs that detail the transformation. 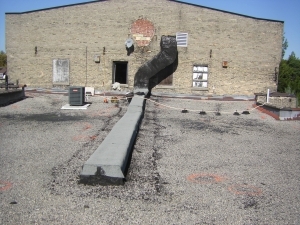 We are so delighted to have a well-insulated and leak-free facility. 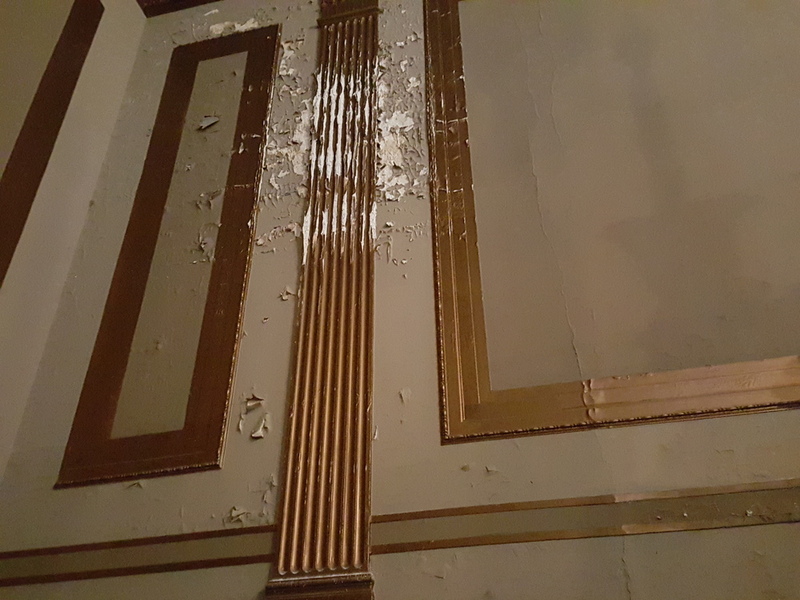 In 2015 we began exterior renovations to stop the leaking of the main auditorium walls. 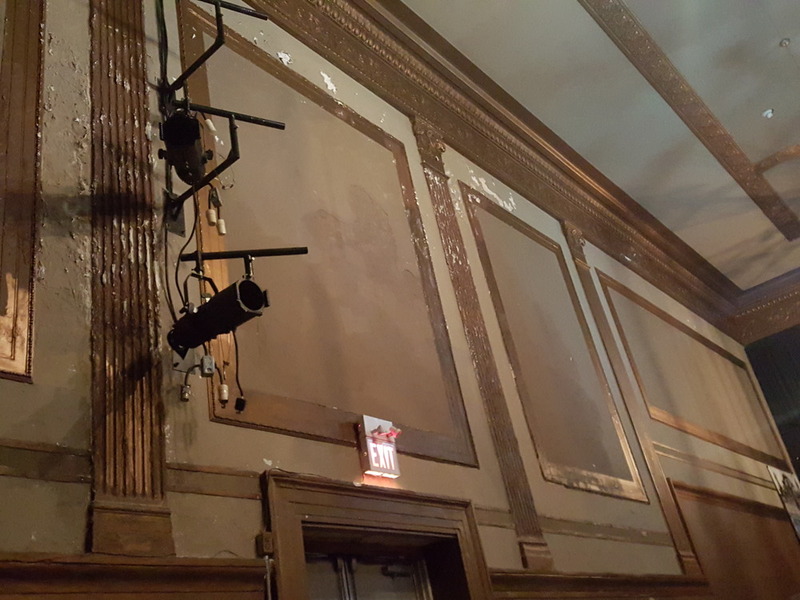 Thanks to the City of London providing us with a fantastic $100,000.00 loan we were able to get the enormous project underway of covering both the East and West auditorium walls in EIFS or an External Insulation Finishing System. The completed work looks beautiful, and keeps us warm and dry. We owe a big thank-you also to the generous support of our patrons who in addition to attending our shows, kindly donated additional funds through our fundraising campaign to help pay for the $20,000.00 plus in additional funds needed to cover the project. 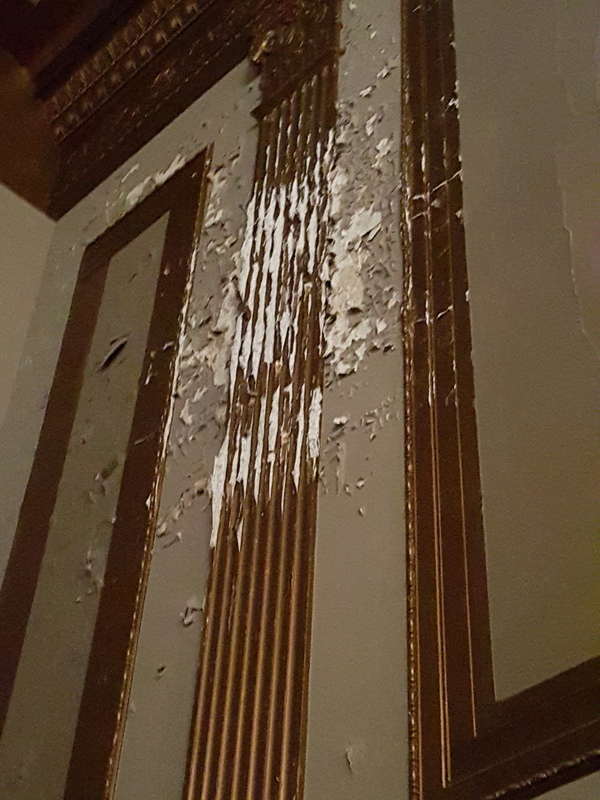 In 2016 we restored the plaster on the inside of the auditorium that was damaged by years of water infiltration. Thanks to the success of our Elizabeth's Night at the Palace event on April 30, 2016 we were able to proceed with the much needed refurbishment work. We couldn't be happier with the beautiful results!